One word you WOULDN'T use to describe me is rational. I don't tend to think before I do stuff, which has put me in some sticky situations, and I can be really impulsive sometimes. This is visible is my shopping habits, although I've gotten better with time. If I see something I like, I'll buy it. I've gotten more practical over time, but this is how I ended up buying something that can only be described as a wedding dress. So I literally have no where to wear this dress anytime soon, but I had to have it. I went in to Debenhams and saw it on display so I went to see the price just to humour myself. Imagine my surprise when I realised it had been taken down to a mere £40, with only one left in my size. I grabbed it and went straight to the till. I'm guessing that there'll be somewhere to wear it eventually. I need a really close friend to get married so I can wear it. And I wore them with my insane new shoes. I love everything about them, from the subtle spikes to the slingback. Have you made any insane purchases lately. Wow it is so beautiful. I am the same and I must admit I probably would have bought it too. The shoes are amazing too - love those spikes. I just bought a wide stripe maxi skirt on a whim, I've got no idea when I'll wear it or what with. 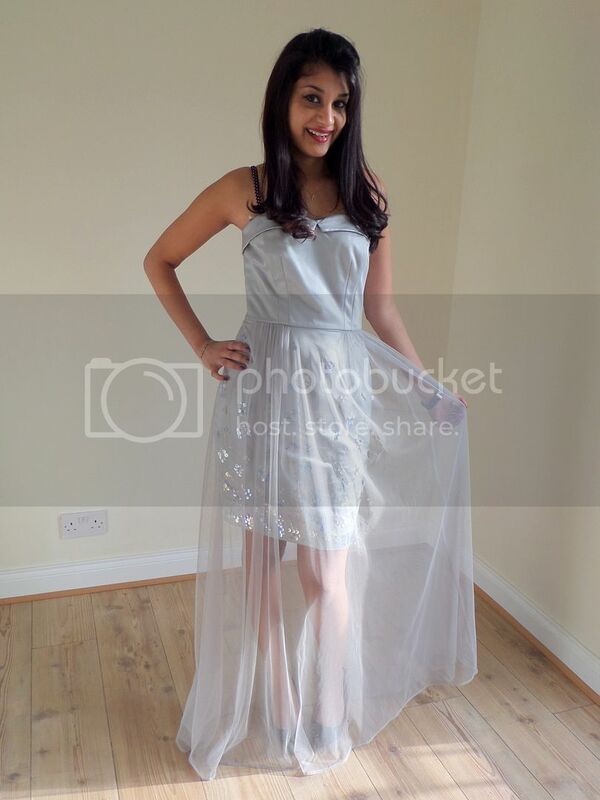 You look so incredible, Sherin; I am head over heels for that dress - stunning! !